Or perhaps you’re an existing business that’s ready to take the leap into e-commerce? Or maybe you’re just tired of your current e-commerce solution? Whatever the case may be, Shopify is one of the easiest platforms on which to create, manage, and promote your online shop. It requires no programming capabilities, it integrates with hundreds of apps (more on this later), it offers integration with Facebook’s advertising platform, and there are thousands of themes to give your shop just the look you want. There are dozens of site builder options out there with varying degrees of e-commerce capabilities. Choosing the right one can be difficult if you don’t understand EVERYTHING you’re going to need to operate a successful online business. So I plan on taking you through all the reasons that I think Shopify is the best e-commerce platform to date. OK, So What are Some of the Cons? With several years running a Shopify e-commerce store under my belt I’ve decided to do an in-depth review of my experience with this platform. There are a number of Shopify reviews out there, but I couldn’t find a resource telling the first hand experience of a shop owner. With over 300,000 online shops doing over $25 BILLION worth of sales, this company has figured out how to take the pain out of e-commerce for businesses both small and large. What’s the first thing that comes to mind when you think about dealing with your website? Troubleshooting? Updating software and plugins? Keeping it up to date with the latest security? With Shopify all of this is handled for you, allowing you to focus on running and GROWING your online business. They’ve brought together thousands of partners, developers, and other vendors to form a vast marketplace of tools and themes that are all designed to make your shop run as efficiently as possible. They offer tools that integrate with Facebook, Ebay, Amazon and more. There are beautiful themes that allow you to customize your shop just the way you like. And they offer a back end e-commerce suite that is one the best in the industry. No e-commerce platform is absolutely perfect. I’m not going to say my experience with Shopify has been flawless. But they listen to their customers and constantly look for ways to improve their experience. There are many great reasons to use Shopify for your e-commerce business, but there are some downsides as well. Let’s take a look at some of the most important pro’s and con’s of this platform. One of the most painful and time consuming parts of launching any online business is finalizing your website design and building it out. This usually involves weeks or months of back and forth between you and a web designer. A well laid out and designed site not only looks great, it creates trust with your visitors and translates into a higher conversion rate for purchases. And that’s what it’s all about right? Within Shopify’s Theme Store you can choose from a handful of free themes and wide array of premium (paid) themes. Many themes are optimized towards displaying particular types of products like clothing, watches, food items, furniture, etc. These themes are created by professional developers and are verified to work 100% with the Shopify platform. It means you can quickly pick a theme that works well with your product mix and get started. And if your site does require any customization, there are dozens of developers within the Shopify marketplace that can help you make the changes you need. Because there at SO many stores already using Shopify there are literally thousands of apps available to help you streamline processes within your business. This can range from pop-up forms for capturing emails to systems that allow you to directly integrate with your suppliers to process orders without lifting a finger. Some apps are free and others are paid. But there are literally hundreds to choose from. And if you can’t find what you want, there are developers in the market place that can build a custom app for you. So not only does Shopify allow you to build a beautiful online store with integrated payment systems, it also allows you to streamline your business like no other platform can. The best part? All of these apps are verified to work on the Shopify platform. This means no more headaches of trying to get your system to talk to your suppliers systems. It’s all done for you. Support options include phone, email, and chat. So no matter what time of day or what part of the world you’re in you can get in touch with someone at Shopify to help you resolve your problems quickly. Other e-commerce platforms don’t even come close. Ever try to get a hold of someone at Amazon for support? In addition to Shopify’s support you’ll have access to their massive user community and forum. Here you can find answers to questions posed by other business owners with similar issues. It’s a great resource for learning how other e-commerce businesses have overcome particular problems whether they be marketing, technology, fulfillment, or whatever. No more reinventing the wheel. It’s all out there for you to see. Shopify also regularly posts case study’s and tutorials on their blog. These come directly from Shopfiy users who have found success with their stores and are looking to share their story. These case studies can be invaluable for learning how to best setup your shop, market your products, and streamline your fulfillment. It can’t all be roses right? Let’s take a look at some of the cons of working on the Shopify e-commerce platform. In addition to the monthly fee there are a couple other fees to be aware of when utilizing Shopify as your e-commerce platform. Here’s a quick break down by each plan. As you can see from the above, unless you’re using Shopify Payment you’ll be charged a transaction fee on every purchase. It ranges from .5% on the “Advanced” plan to 2% on the “Basic” plan. How does this look in the real world? On the “Basic” plan you’ll be 4.9% for every online transaction if you’re not utilizing Shopify Payment. This means for every $1,000 in sales you’ll be paying $49 in credit card fees and transaction fees. Depending on your margins this may or may not be a deal breaker. On the “Shopify” plan you’ll be 3.6% (+$.30) for every online transaction if you’re not utilizing Shopify Payment. This means for every $1,000 in sales you’ll be paying $36 in credit card fees and transaction fees. On the “Advanced Shopify” plan you’ll be 2.9% (+$.30) for every online transaction if you’re not utilizing Shopify Payment. This means for every $1,000 in sales you’ll be paying $29 in credit card fees and transaction fees. In terms of credit card transactions Shopify is comparable to most other platforms. In fact it’s tough to get a better credit card rate unless you’re doing massive volume. Considering everything else you get with the Shopify platform, it’s a relative bargain. On the plus side, their pricing is totally transparent and you can upgrade your plan to grow with your shop. A basic shop is relatively inexpensive. But as you start any of the 1500 app from the Shopify Marketplace you’re monthly price can go up in a hurry. Some of the apps are free, but many of them require a monthly payment. Freshbooks is a popular online accounting platform. Integrating it with your Shopify online store is an incredibly powerful way to automate bookkeeping, tracking orders, inventory, and more. But the app will run you $31.99/mo in addition to your other fees. Of course you’ll need to balance the cost of the app against the amount of time it saves you. Users of this particular app say it saves them on average 10 hours per month. At $3/hr, that’s not too bad. You won’t always have to purchase apps. Quickbooks online has a free app that allows you to pull your Shopify transactions directly into your accounting software. How much you pay in addition to your Shopify fees will depend on how much you want to automate your shop.You don’t need any of them to get started. Once you’ve been running your shop for a while and see where the bottlenecks are you can invest in apps to save you time, money, and headaches. Pro Tip: It’s easy to get carried away with apps. Make sure you know which ones you NEED to successfully operate your business. Once you start getting some sales rolling in you can easily add more apps to save time and make your life much easier. For all of it’s power and flexibility, Shopfiy does run on a proprietary platform. This means specialized coding. Those who have basic understanding of HTML and CSS could make changes to a standard website relatively easily. Even if you couldn’t make the changes yourself, finding a web designer to do so is no big deal. Shopify runs on an entirely different platform. While basic tweaks and changes to your theme can be relatively straightforward, making substantial design changes requires a knowledge of Shopify’s “Liquid” programming language. There are plenty of professionals out there that can help you with these changes, but Shopify programmers currently charge more than standard web designers. Of course as more programmers enter this space the price continues to go down. But for now you should expect any deep customization work to be somewhat expensive. The premium themes (and many of the free themes) can be setup and operated with little to no customization at first. Then once you see some sales coming in you can hire a designer to help you dial everything in. For established e-commerce businesses the pro’s easily outweigh the cons. The time and money saved by utilizing the powerful backend Shopify has put in place pays for itself in no time. For newer or smaller businesses it’s important to start small. Learn how to operate your store using the bare bones functionality. Then once your sales begin to grow you can start automating the parts of your shop that eat up most of your time. The Shopify platform is setup to handle a broad variety of products including: photography and digital downloads, furniture, food items, watches, shoes, jewelry, electronics, games, and more. In fact, you’d be hard pressed to find a product-based business that won’t excel on this platform. But who stands to benefit the MOST? Anyone who is sick of dealing with all the headaches involved in running the e-commerce side of their business will LOVE using Shopify. Before moving my online business to Shopify I spent WAY to much time dealing with technology. Initially I used Woocommerce with a WordPress website. This meant I was constantly dealing with WordPress updates, security certificates (SSL), plugin updates, theme updates, and Woocommerce updates. Sometimes these updates went flawlessly. Sometimes I would spend an entire day and night trying to fix them when things didn’t go so flawlessly. I didn’t have the time to try to understand and maintain every aspect of my e-commerce website. Even with a technology background it was very easy to get overwhelmed when trying to implement a new feature or update my site. I needed something that was foolproof so that I could spend my time driving new customers. I use Quickbooks online for my books. When I decided to integrate Quickbooks with WooCommerce I found several third party companies that said they did just that. But there are so many options and configurations within WordPress that just getting this one piece of software integrated with my website took 2 solid days. Even once it was done, I never felt 100% certain my orders were being processed correctly. And God forbid there was an update that threw everything out of whack. The moral of the story? Too many cooks in the kitchen. With Shopify things are much simpler. All apps must be verified to work within their platform. Sure there are updates, but everyone is working from the same basic template so they go MUCH smoother. ​Do you have a physical store location? Now you can leverage the same powerful features for your brick-and-mortar location. Back in 2013 Shopify added POS capabilities to their platform. Now you can handle credit card transactions online or in your physical store. All orders are stored in the same place making bookkeeping and reporting a snap. One of the most important reasons Shopify has become such a popular e-commerce platform is it’s simple and intuitive back-end interface. From here you can quickly handle all important tasks. Accept payments from a wide variety of payment gateways in various currencies. Create coupons and discount codes. Manage users for your site allowing you and your staff to access information quickly and easily. One area the platform that has seen serious improvement in the last 12 months is the “Customer” menu. From here you can see all the pertinent customer information. You can even filter your customers based on these parameters for creating targeted marketing campaigns. whether they have any abandoned checkouts. Create new pages, blog posts and landing pages. Here’s a quick video from Shopify showing how easy it is to setup your first shop. The “Settings” section of your dashboard is where you’ll configure accepted payment gateways, shipping options, your checkout page, notifications, and sales taxes. This is the reason you run your shop and Shopify makes it VERY easy. The platform works with dozens of different payment gateways from Paypal and Amazon to foreign gateways specific to foreign countries. This is where you can activate Shopify Payment which allows you to run all major credit cards through Shopify itself. The setup of payment gateways is unbelievably simple. When originally setting up my site on WooCommerce it took several hours to get all this sorted. It required creating new accounts at payment processors and ensuring they were communicating properly with my site. With Shopify you simply activate the ones you want. Fill in your details and you’re ready to take people’s money. Selling online is all about making the process as clean and seamless as possible for your customers. They need to know they can trust the site that is taking their money. Shopify allows you to customize the look of your checkout page with your company’s logo. Further customization requires modifying the code of your site, but the default checkout page is clean and works very well. You can further specify options such as whether customers need to create an account to make a purchase, form options such as requiring first and last name, and phone number. It also allows you to set default behaviors such as using the customers billing address for shipping address, having the customer to agree to receive promotional materials (or not), automatic fulfillment options, and language settings. Whether you handle shipping yourself or work with a drop-shipper you’ll find everything here to get you started. There are a couple different ways to configure shipping for your store. First you’ll setup a “Shipping Zone”. This is typically setup based on geography such as the United States. Within that zone you can specify several different options. The “Price Based Shipping” option allows you to set a price on shipping based on the total order purchase amount. So if you sell a $25 product, one price might be $5.99 for anything up to $25. You can set multiple tiers of price-based shipping. The second option is “Weight Based Shipping”. Here you can specify shipping costs based on the weight of the item being shipped. For every product listing you create you’ll enter that products weight for this purpose. For weight based shipping you’ll set a minimum and maximum weight and the cost. You can setup multiple tiers. The third option is “Calculated Rates”. These are calculated based on the type of shipping specified by the customer. You can specify different carriers such as UPS, FedEx, and USPS. One thing that is missing from Shopify’s native platform is the ability to specify default shipping per product. Here’s an example. In my shop I sell gourmet cookies. They’re available in quantities of a half dozen or full dozen. I can tell Shopify that any order of $24 or less costs $9.99 to ship. But the rate varies depending on where it’s going in the country. To ship to California costs $6.83 while shipping to New York costs $10.88. So my customers in California end up overpaying for shipping while others end up overpaying. There are apps that allow you to specify default shipping per product, but expect to pay an additional monthly fee for this functionality. You can get all the current information on shipping from Shopify’s website. With dozens of free and paid themes it is relatively easy to launch an e-commerce site. Having a visually appealing and intuitive site is crucial to keeping potential customers engaged. It’s also an important trust factor in turning visitors into paying customers. In Shopify’s Theme Store you can browse through all of the available themes. You can even preview the themes in your store to see how they would look with your products. Paid themes range from $140 on the low end to $180 on the high end. This doesn’t include any customization that might be required to get your site looking “exactly” the way you want, but it will get you 95% of the way most of the time. Pro Tip: In addition to how it looks it’s important to dig into the user reviews of each theme you’re interested in. This can give you valuable insight into any shortcomings users have found, stability of the theme, and support offered by the theme’s creator. If money is tight you can always go with one of the available free themes. You won’t get the same level of support that you would with a paid theme, but there are lots of posts in Shopify’s forums on how to customize these themes. I’m still using a free theme for my site and it works perfectly. It took a couple hours to get it to look the way I wanted, but overall the process was pretty painless. When it comes to running a successful e-commerce business your website is only one small part of the equation. You need to create a sales funnel that consistently brings in new prospects and consistently moves them through all the stages of becoming a paying customer. This is where Shopify REALLY excels. They offer full Facebook Ad integration, allowing you to track every single customer that comes to your site. 67.1% of all items placed in shopping carts are abandoned by online shoppers. This happens for wide variety of reasons. Maybe they got an email, maybe the phone rang, or maybe the kids started screaming. Regardless of the reason, if you’re not actively pursuing these abandoned sales you’re missing out on A LOT of revenue. With any of the Shopify plans you can initiate an email to anyone who abandoned a cart with product in it. Simply go to the “Abandoned Checkouts” tab under the “Orders” menu. Here you’ll see a list of anyone that placed items in their cart without following up with a purchase. Simply click on the order number then press the “Send a Cart Recovery Email”. Shopify will auto-populate your customers information and yours. They will even include a link that takes them directly to their shopping cart. With the “Shopify” plan and the “Advanced Shopfiy” plan you can automate this entire process. In the settings for order processing you can setup an automatic email that goes out after a specified amount of time goes by. Within the email is a note reminding them of their shopping cart items as well as a permalink to the cart itself. This one small change can bring a substantial return in revenue and is WELL worth the time needed to set it up. As of 2015 the number of mobile users surpassed the number of desktop users. If your website isn’t mobile-optimized it’s time to get on board. Customers WILL NOT tolerate slow sites that won’t format properly on their tablets or smart phones. They’ll simply move on to the next site. All of Shopify’s themes and shopping cart functions are optimized for mobile e-commerce. Your site will render beautifully no matter what phone or platform your customers are using. But it doesn’t stop there. You can manage your shop from your phone as well. The Shopify app allows you to handle many of the same functions as your desktop dashboard allowing you to keep tabs on your store even when you’re away. You can manage orders, check on sales, and view customer data any time any place. Building your website doesn’t guarantee customers. Driving traffic requires a well thought out, consistent marketing plan. Within the Shopify dashboard you’ll find several powerful tools for doing just that. When combined with some of marketing software available in the App Store you can build a solid sales funnel that drives traffic and converts that traffic into customers. If someone offered you a list of email addresses that were guaranteed to buy from you would you buy it? A solid email list is one of the most powerful marketing tools in the world. And Shopify helps you build your list with every transaction. All your client email addresses are stored within your dashboard. From here you can export them to any email application out there. These are known buyers, people who have already bought from you. Depending on your industry, acquiring a new customer can cost between 4 and 10 TIMES more than maintaining your existing clients. On top of that, existing clients spend up to 30% more AND are more likely to make multiple purchases beyond their initial purchase. Take care of your list. Export it out of Shopify into your favorite email marketing tool and engage with them on a regular basis. One of the most powerful ways for companies of ANY SIZE to reach new customers is through Facebook advertising. With billions of users worldwide, Facebook is the most powerful marketing tool on the planet. In terms of integrating with Shopify there is little required to get going. Basically you’ll want to install your Facebook pixel so that you can track any Facebook users that land anywhere on your site. From your Shopify dashboard this is done in “Online Store” then selecting “Preferences”. Here you’ll find a field for both your Google Analytics code and your Facebook Pixel. Simply paste your pixel code here and you’re ready to go. Have you ever gone to Amazon.com to look at a product and then noticed that product seemed to show up on every site you visit afterwards? That is retargeting. Once you visited a particular page, Amazon’s Facebook pixel is aware of your interest in the product. Now they can display that product to you across thousands of websites. There are all sorts of different tactics you can take with these ads. But the main thing to understand right now is that they are HUGE when it comes to driving revenue. Retargeting ads hit people up with a product they’ve already expressed interest in, and they are a built in audience so ads tend to be significantly cheaper per impression or click. 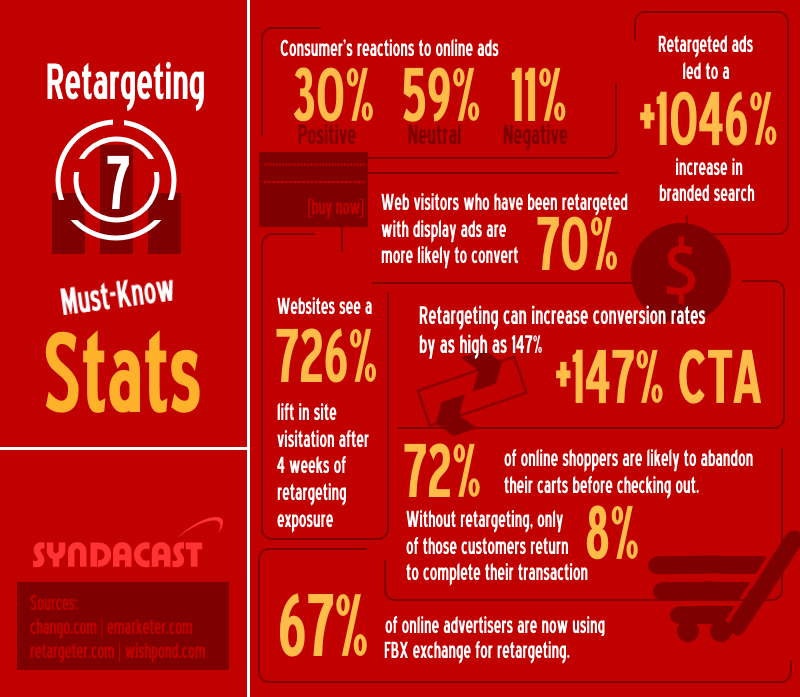 Properly configured retargeting ad campaigns can literally double your revenue. And the best part is once they’re setup they essentially run on autopilot. Probably one of the most powerful aspects of working with the Shopify platform is the vast amount of information, case studies, and online courses available to educate yourself on how to succeed with your store. As I mentioned before, there’s more to it than just setting up your shop and expecting people to start buying. This is only scratching the surface. But no matter what you need to learn there is a resource out there to teach you. Here are a few of the more popular courses. Another powerful way of driving sales is to bring on affiliates. Bloggers, social influencers, hell practically anyone with traffic interested in your products can become an affiliate for you. While Affiliate capabilities are not built into the Shopify dashboard you can install any number of apps that allow you sign up, track, pay, and send new promotions to your affiliates. Along with retargeting, affiliates can drive a massive ROI due to their existing traffic. It’s well worth investigating. Shopify has built a powerful and reliable e-commerce platform. They’ve compiled years of experience and feedback from THOUSANDS of customers to deliver what is now THE BEST solution on the market. But their product is only framework. By utilizing the App Store you can take it to the next level. Want to improve conversions? There’s an app to help. Want to automate tasks within your business? There’s an app for that too. What about streamlining bookkeeping or setting up automatic fulfillment of your inventory and orders? Yep, you can do that too. While many of the apps require a monthly fee, there are hundreds that are free as well. One of the quickest ways I drove additional sales was to include a “free shipping” bar telling customers how much more they have to spend to get free shipping. This is a free app that helped increase our conversions by 15%. Many of paid apps include a trial period that allows you to install it and test it before you pay a dime. If it doesn’t work like you expect or perform to your expectations delete it and try something else. It’s true that you can very easily double what you’re paying for Shopify itself by loading up on apps, but you have to look at it from a cost and time saving perspective. If spending $15/month on a bookkeeping integration app saves you 10 hours time (or 10 hours paying an employee) then it totally makes sense. This is one of the biggest no-brainers of the bunch. When you sign up with Shopify you get your hosting, security, and online backup included in the base cost. This means even if you get 50,000 visitors a day to your site you won’t have to pay for more bandwidth. Even at much lower traffic numbers this can help reduce operating costs. They’re system is rated at 99.99% up-time. ​Shopify utilizes Level 1 Payment Card Industry Data Security Standard (PCI DSS). This requires continual risk management and on-site compliance. All shops use this same level of protection. This means your customers data is secure. Backups are performed daily so you’ll never have to worry about losing the content of your site. It is possible to export and download all of the content and products from your site for your own offline storage purposes. From firsthand experience I can tell you that Shopify’s support is top notch. There has been nothing I’ve been unable to solve by quickly chatting with one of their support representatives. From issues with shipping, coupons, Facebook pixel setup, and more they are courteous, fast, and efficient. Generally there is a bit of hold time while waiting for a rep to become available, but I’ve never waited more than 3-4 minutes. They also offer 24/7 phone support, but I’ve never had to call. For the most part I’ve found all the answers I’ve ever needed by searching within the support database. You can be fairly confident that some other user has run into the same issue you have and has posted it here. The community and support “gurus” will answer these requests in a timely manner. For the money you’ll be hard pressed to find anything better than Shopify’s platform. It offers everything you need to start selling products to a worldwide audience. Here’s how their basic plan pricing breaks out against a couple of the big competitors. As you can see in the chart on paper they look pretty close. There are some limitations on bandwidth with 3D Cart and BigCommerce limits your sales per year on their low-end account. But the biggest difference comes in with the integrated Abandoned Cart Recovery and Shopify’s App store. While BigCommerce and 3DCart have built a solid e-commerce platform, Shopify looks to provide solutions that benefit your entire business. It’s like comparing Quickbooks to a spreadsheet, Shopify just offers SO much more. Let’s dive a little deeper into Shopify Payments. By utilizing this tool you can accept all major credit cards while waiving all transaction fees from Shopify. That means all you’re paying is the credit card fee on each transaction. This doesn’t require you to setup an account with any other payment processor. It also means that all your transactions are native to Shopify making reporting and bookkeeping much cleaner. Speaking from personal experience Shopify is the perfect way to manage your online business. With dozens of themes, all of which are mobile-optimized, to choose from you can style your site exactly the way you want. The back end dashboard allows you to quickly and easily add/edit products, check inventory, process orders and shipments, communicate with your customers and suppliers, and a wide range of other tasks. The App store can help you automate your day to day tasks allowing you to spend more time driving new customers to your site. This marketplace alone can help you drive more sales, lower your costs, make your business more efficient. All of this and the pricing is comparable or better than competitive plans no other providers. If you’re serious about building an e-commerce empire you definitely need to give Shopify a try. And right now you can get a free 14 day trial.